Provides easier self-expression, aids in speaking out and validating one's own emotional truths. Offers courage and aids in shyness. Clears the throat chakra, programs the etheric body for creative work, soothes and calms, opens the voice. Blue Lace Agate has a Trigonal crystal system and is in the mineral class of oxide, the quartz group. Its coloring is pale blue with lighter, sometimes almost white, lacy patterns and bands. Agates are formed hydrothermally in silicic acid-poor volcanic rock. The hot silicic acid solutions accumulate in hollow spaces formed by gas bubbles in cooling lava. As the solutions cool, they solidify into a quartz mix, deposited layer by layer on the walls of the hollow spaces. Its banding is made of the most varied combinations of crystal quartz, chalcedony and jaspers. Whenever the agate fills an entire hollow, it is called an "agate almond". If a hollow remains in the center, it is called an "agate geode". Like most stones, it is most beneficial when worn or laid upon the body, or used as a hand comforter. 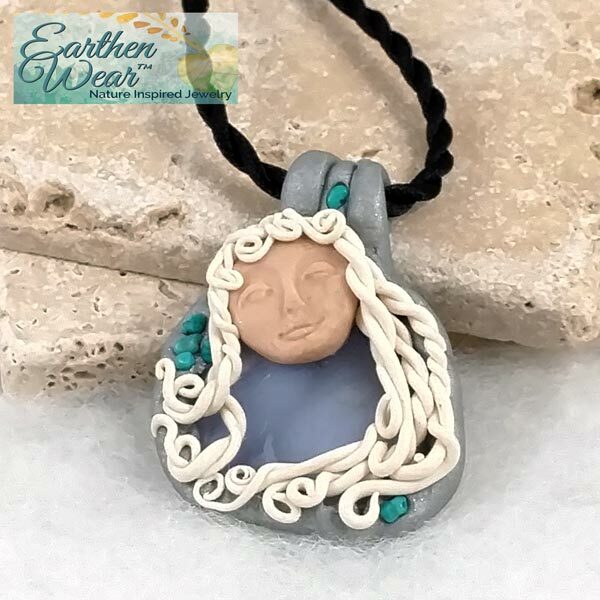 Blue Lace Agate is most beneficial when worn near the throat. 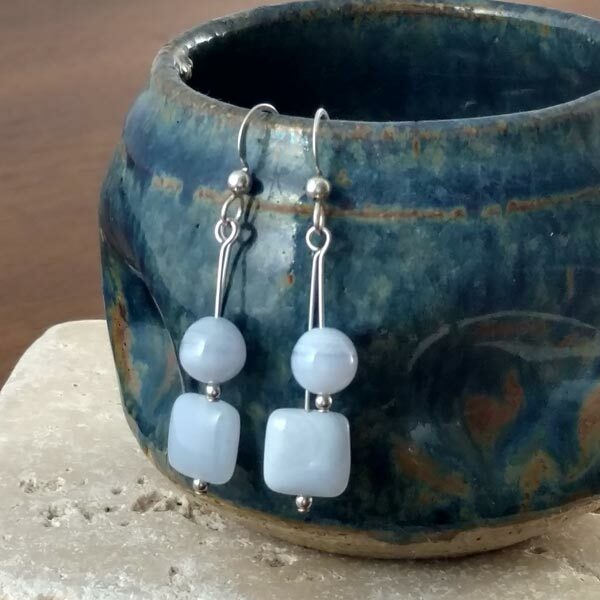 Blue Lace Agate encourages a calm and contemplative view of life and is especially suited to gentle people who have shades of pale blue in their aura. 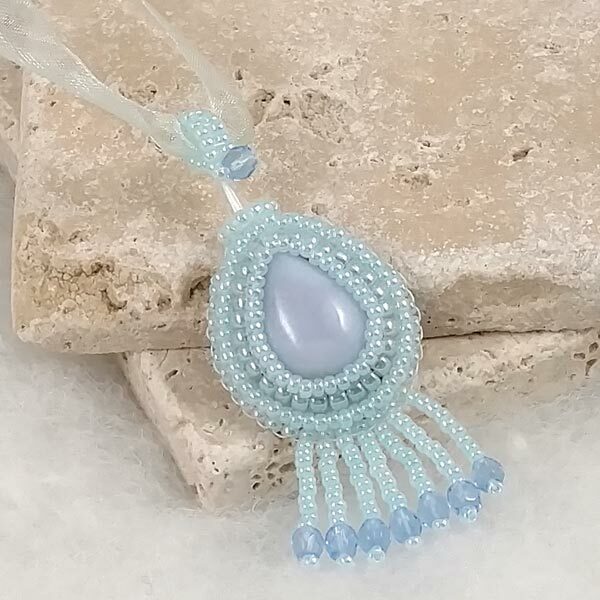 Blue Lace Agate provides protection, security and safety by dissolving inner tensions. It also allows us to resist external influences in our search for internal peace. 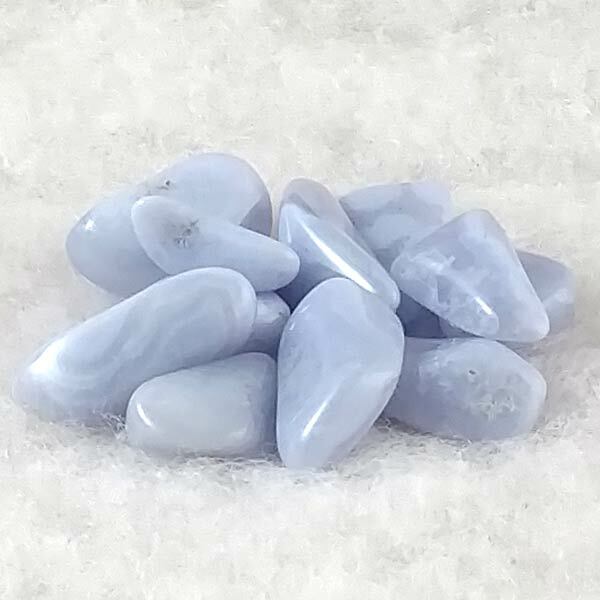 Blue Lace Agate strengthens the rational thought we use to help ourselves analyze problems back to their causes and to find simple, pragmatic solutions to them, calmly and without delay. 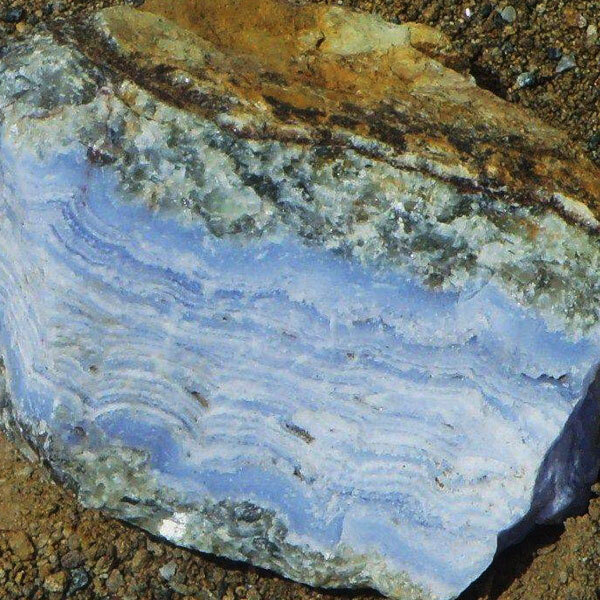 Blue Lace Agate aids in balancing our auras and the energy body which protects us as it provides harmony and thereby stabilizes our health. It has also been used as an elixer to regulate fluid balance around the brain bringing relief to those who are hydrocephalic. Blue Lace Agate has an affinity with all signs and is especially helpful to Pisces. Its energy is Receptive and its Element is Water. Blue Lace, like most agates, has enjoyed a high reputation as a protective, good luck stone in the ancient world, as well as in India, Nepal and Tibet. While it has been used as an aid to shyness, generally it has been found to bring peace and happiness.